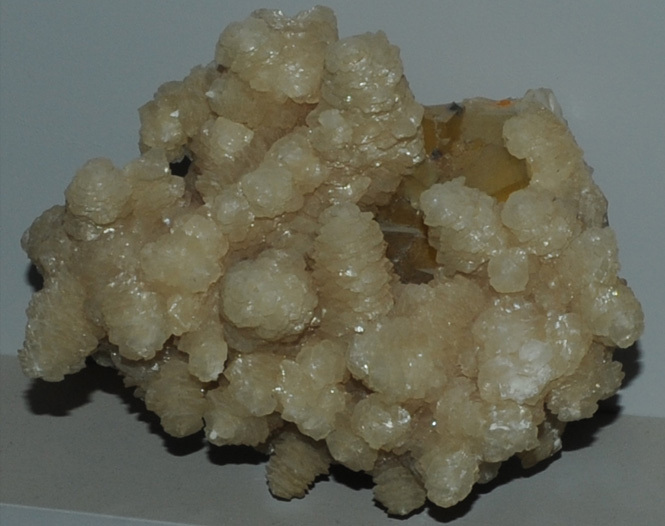 This sample of Benstonite is displayed in the Smithsonian Museum of Natural History. Benstonite is a carbonate mineral which contains barium, magnesium, calcium, manganese and strontium with the general composition (Ba,Sr)6(Ca,Mn)6Mg(CO3)13. This sample is about 8x8 cm and originated in Hardin County, Illinois.